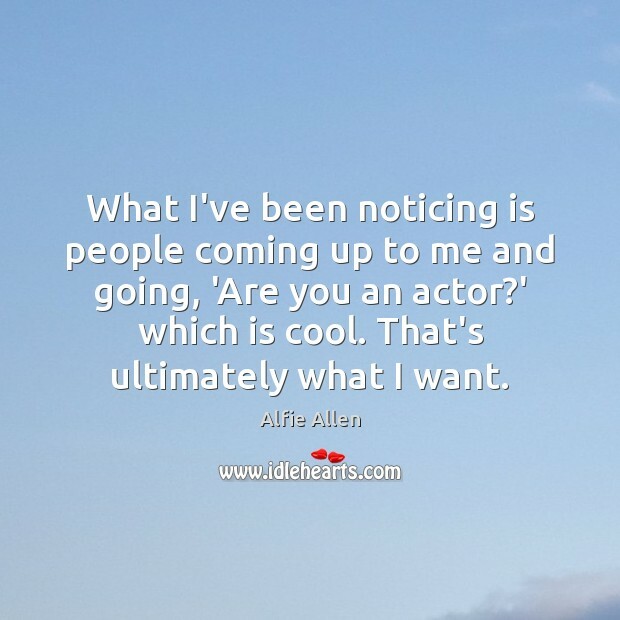 Enjoy the best inspirational, motivational, positive, funny and famous quotes by Alfie Allen. Use words and picture quotations to push forward and inspire you keep going in life! 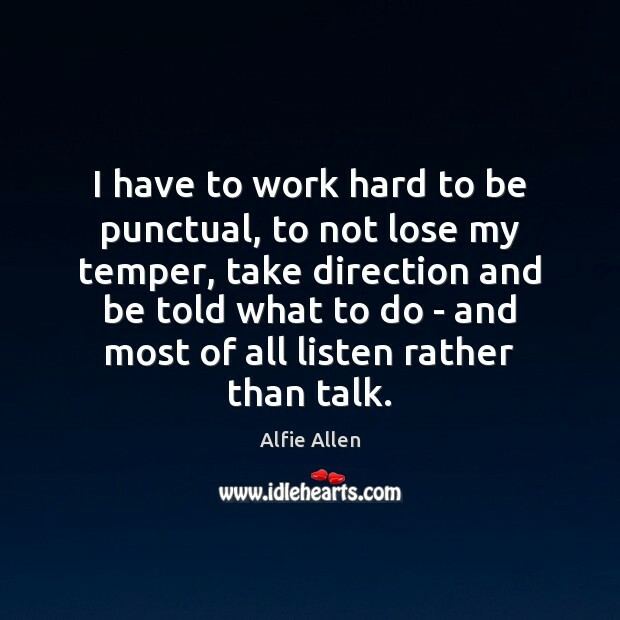 I have to work hard to be punctual, to not lose my temper, take direction and be told what to do - and most of all listen rather than talk. 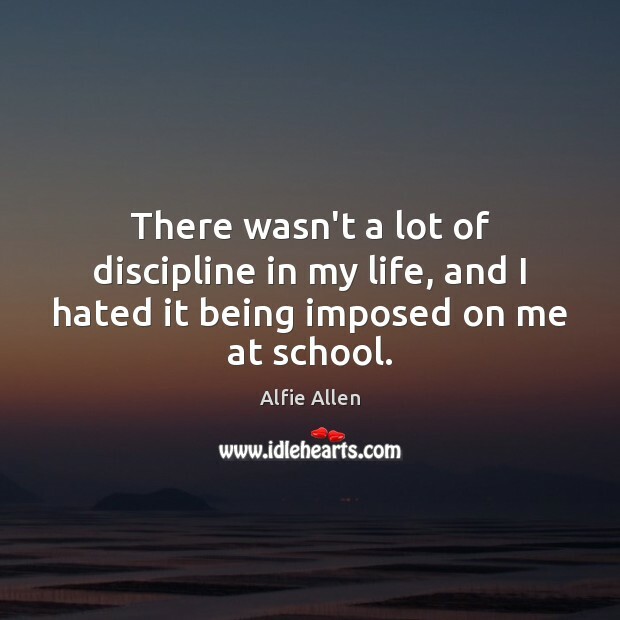 There wasn't a lot of discipline in my life, and I hated it being imposed on me at school. I haven't had a lot of 'Games Of Thrones' groupies. The fans seem to be really nice. They don't seem that invasive. I've always known my dad is a one-off and his own person. 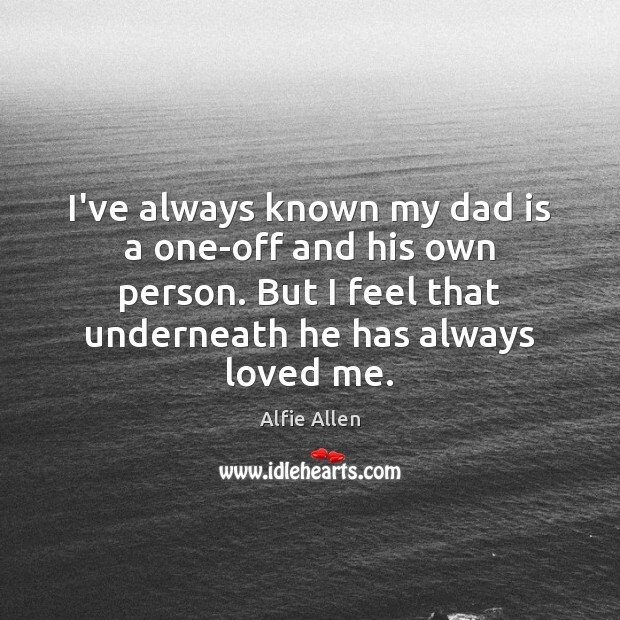 But I feel that underneath he has always loved me. What I've been noticing is people coming up to me and going, 'Are you an actor?' which is cool. That's ultimately what I want. 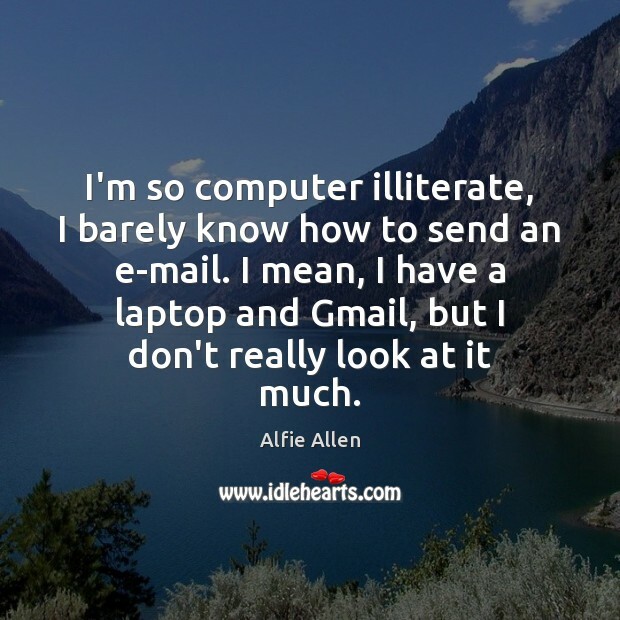 I'm so computer illiterate, I barely know how to send an e-mail. I mean, I have a laptop and Gmail, but I don't really look at it much. 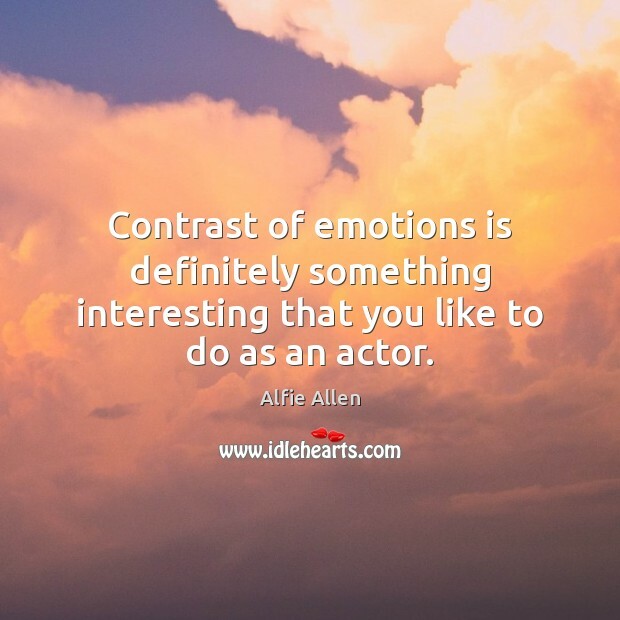 Contrast of emotions is definitely something interesting that you like to do as an actor.